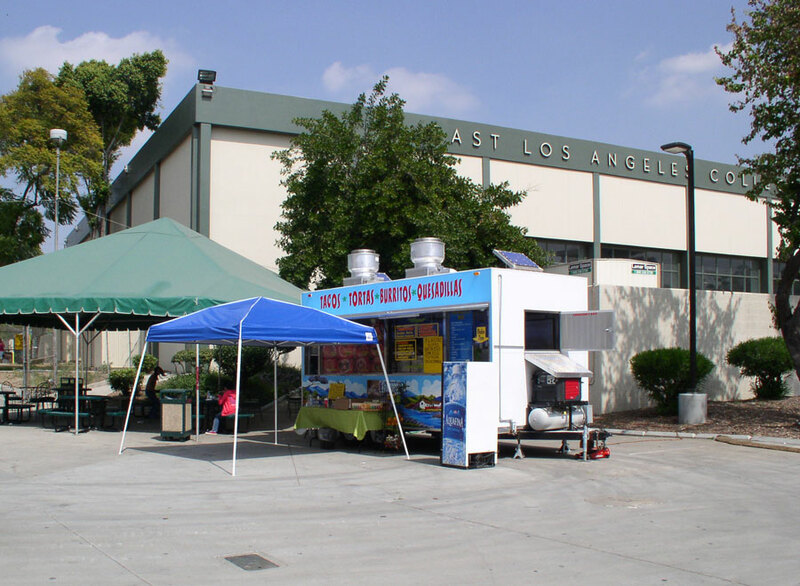 It was a good day to visit the taco truck parked on the East Los Angeles College campus. You would think it would be good, since it’s in East LA, but you would also think it would be bad, because it’s on a college campus. But in fact neither, it’s kinda meh. If you check out the photo, you’ll see that the ambience is unbeatable – Not one but two E-Z Ups? Now I’ve seen everything. 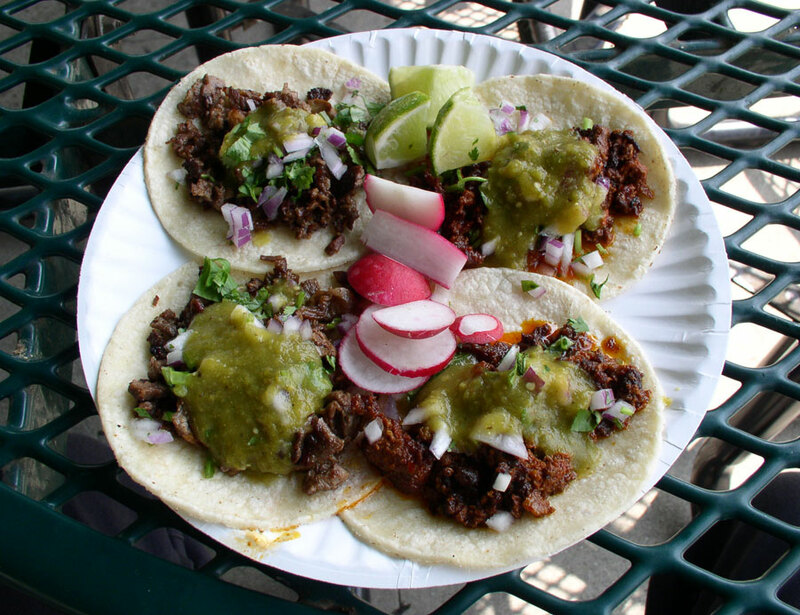 I attempted to order one each of carne asada, pastor, carnitas and chorizo, but the latter two were unavailable. It was 1:30, maybe I was too late? So I ordered two carne asada and two al pastor tacos with everything. I was asked if I wanted red or green salsa. I opted for green in both cases, because it’s spicier than the red. The tacos are $1.25 each, but smaller than average. Four is a good number to eat for a nice, light meal. First I ate a carne asada taco. I observed that the flavor was good, and the meat juicy, but diced a little too finely. The tasty and very spicy green salsa overwhelms the beef, but I liked it. Next I ate an al pastor taco. The meat is saucy and leaks an orange oily liquid, and intensely flavored. The flavor is reminiscent of chorizo – is it garlic and chile pepper that does it? Combined with the spicy green salsa, this taco is a flavor explosion in your mouth. This al pastor taco was delicious, but felt like a cheap thrill. It lacked subtlety and refinement. Unfortunately, I suffered tortilla failure on both al pastor tacos. The tortillas were the ordinary kind and single ply, surprisingly. Presumably, that orange oily liquid dissolves tortillas the same way it’s now dissolving my stomach lining.